The 2018 Civic Type R is Here! After a limited production run of the 2017 Type R this summer, the 2018 Civic Type R Hatchback is finally here.With a peak output of 306 horsepower (SAE net) and 295 lb.-ft. of torque (SAE net) from its muscular 2.0-liter DOHC direct-injected VTEC Turbo® engine, the Civic Type R is the most powerful Honda ever sold in America. As before, the 2018 Type R is available in one fully equipped trim with a short-throw 6-speed manual transmission, limited slip differential, Adaptive Damper System and an ingenious dual-axis strut front suspension design that virtually eliminates torque steer. The Honda Civic Type R’s Adaptive Damper System continually adjusts damping force at all four corners and is tied into the Three-Mode Driving System with comfort, sport and track-focused +R modes. The system modifies damper and throttle response along with steering assist, in accordance with the driver’s chosen setting. 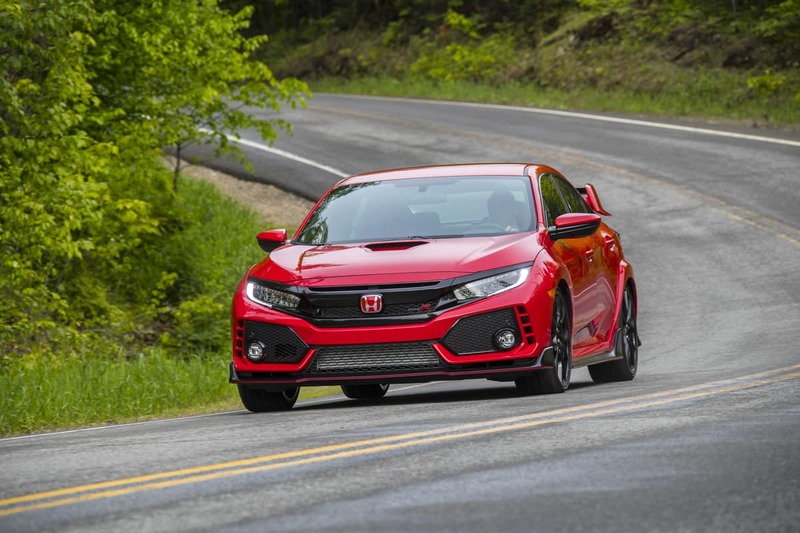 Similar to many Civic trims, the 2018 Honda Civic Type R incorporates advanced in-vehicle connectivity and technologies as standard features. These features include Apple CarPlay™ and Android Auto™ compatibility, Honda Satellite-Linked Navigation System™ with Voice Recognition and more, offering drivers a comfortable and convenient in-vehicle experience. Along with the in-vehicle connectivity features, the 2018 Civic Type R is also equipped with advanced safety features, including Vehicle Stability Assist™ (VSA®) with Traction Control, Advanced 4-Channel ABS, Electronic Brake Distribution (EBD), Brake Assist, a multi-angle rearview camera with guidelines, and an Indirect Tire Pressure Monitoring System (TPMS).